First of all, it is originated from America. 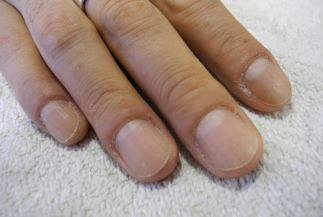 What makes it different is that it does not require soaking to soften the cuticles. In Rainbow Nails, our American Manicure is achieved by using an electric nail file with a triangular cuticle pusher and a sander. The electric file does not irritate the skin, thus thick cuticle is less likely to come back. It will leave the skin softer and smoother. The result will last much longer. 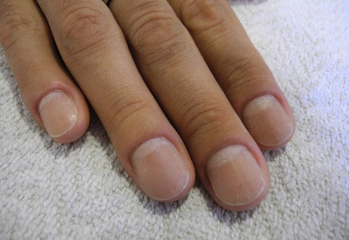 Below are the before and after pictures of a client receiving American Manicure.